There, implanted in the hood of the car at an odd angle, is the boy who had been strangling her. The upper half of his body sprouts from the hood of the car like an odd flower in a strange garden. She knows it’s him by the yellow glove he still wears and the yellow sliver of his rubber pants exposed above the car hood. His head is down and his body is slowly drooping. A low moan emanates from his direction. She cautiously walks to the side of the car to face him. His confused and troubled eyes look past her, off into the distance. He trembles slightly, slides his yellow-gloved hand along the hood for a moment, then he goes still and his eyes glaze over. Dropping to the ground and peering under the car, she sees his feet and yellow pants protruding from the underside of the engine. When she stands, his lifeless eyes stare down at the ground. She moves to the driver side window and, looking in, finds one of the other boys inside, stretched from front to back; piercing the seatback and dashboard. Looking beyond him, she sees part of the third boy angled and protruding from the trunk. His face is buried partly in the metal. His legs and feet protrude from the back seat of the car. There is a stillness about the scene, like a sculpture in a museum; avant-garde and surreal. She reverentially slides her fingers along the shiny red paint of the car, as if it were precious and sacred. She is tempted to touch the part of the sculpture that is the boys, but cannot bring herself to go that far, its awful reality being too much to bear. It occurs to her that this car was what she had been thinking about just before the boys arrived. She had visualized her and her dolls in the front seat of this nice shiny bright red car, driving away from the city to go to the mountains. When the boy with the yellow gloves startled her, she was pretending that she and her dolls were being chauffeured out on the road by her big friend, out for a leisurely drive past all the buildings and into the countryside. Was her guardian angel eavesdropping? Does her guardian angel watch all the time? Confused, she turns away from the odd mixed media car-and-body sculpture and heads out into the street that now has people running in her direction towards the location of the explosion. She traverses quietly past them, hugging the edge of the buildings, keeping to the shadows, staying low and small, leaving no trail and making no impression on them. She is inconsequential, outside of their interest and essentially invisible. Ignoring the people, she suddenly is struck by inspiration. She knows just the person who can answer her questions about the guardian angel. 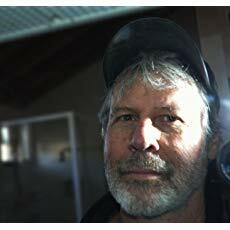 When he isn't doing construction or creating 3D simulations for the AEC industry, Michael Herman writes from his small urban hillside farm in California where he types away to the sounds of chickens, coyotes, the occasional fox and his household pets. 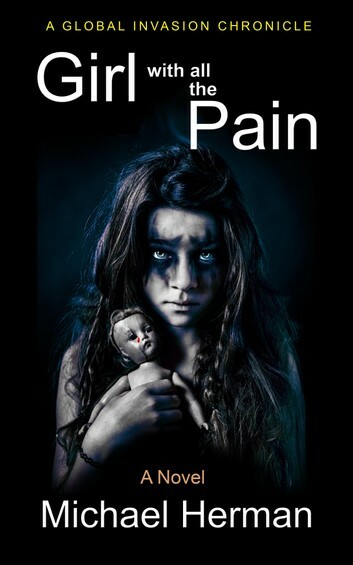 Win an eBook prequel to Girl with all the Pain.